An update on Idaho’s Abortion Pill Reversal Informed Consent Legislation. After passing the Senate State Affairs Committee 7 to 2 and the full 35-member Senate 29-6, S1243 is scheduled for a hearing in the House State Affairs on March 7. The bill would “modify Idaho’s informed consent packets to include information about the reversal procedure [with respect to chemical abortions] and who to contact to get more information,” the Idaho County Free Press reported. Chemical abortions account for almost half of all abortions performed in Idaho. Such a requirement has already been enacted in Utah, Arkansas, South Dakota, and Arizona. Chemical abortions involve two drugs: Mifeprex, taken at the abortion clinic, and then 48-72 hours later, misoprostol, a prostaglandin. The abortion reversal technique is premised on the woman not taking the second drug and being given large dosages of progesterone in order to counteract the effect of the first pill. *A woman has the right to know if she changes her mind after taking the first abortion pill, RU-486, that there is a possibility that she may be able to reverse the chemical abortion procedure. *That is all that S1243 intends to do. It simply helps inform women about the abortion pill reversal procedure if she changes her mind. The choice is still hers to make. *Abortion Pill Reversal has been developed by pro-life doctors and researchers. It has proven to be safe and effective. There have already been over 2600 women who have called the Abortion Pill Reversal Hotline Number: 877-558-0333. Dr. Matthew Harrison, the APR Medical Director, has stated that when women are given the opportunity to reverse the effect of the abortion pill, they are extremely grateful for a second chance to save their baby. * Women should be aware that a good percentage of women who have tried the pill reversal have had good results in maintaining a healthy pregnancy and delivering a healthy baby. Already over 300 healthy babies have been saved by this reversal protocol and over 100 women are currently pregnant awaiting delivery. 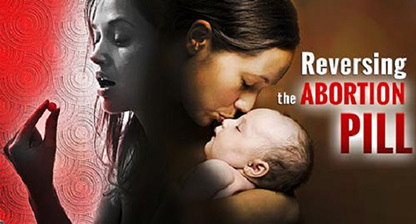 Right to Life of Idaho is encouraging pro-lifers to contact their state representatives now. Please contact them by using this link [https://legislature.idaho.gov/legislators/whosmylegislator] or by calling 208-332-1000 or 800-626-0471 and leaving a message for your two state representatives.